For our Mini-Moon (a preview of our big Honeymoon next year) Josh and I decided to head north and stay at a couple of Bed & Breakfasts (a first for both of us, though I worked at one years ago). If you know either of us, you know they couldn’t be just your ordinary everyday B&Bs – they had to be something unique and we needed to find some silly things to do during the day in the surrounding areas. A couple of years ago on television, Josh and I saw this very unique hotel located in Crosby, MN, and we knew that we had to visit one day. 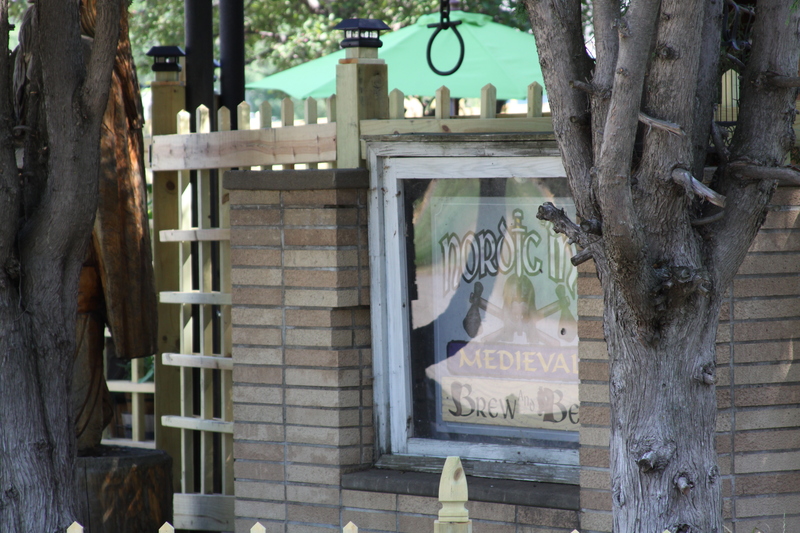 So, our first destination was The Nordic Inn Medieval Brew & Bed! You know it’s going to be interesting when you arrive to a locked door with instructions to have your password ready (decided on when booking) and to pull on a giant ring attached to a chain. We stepped back and heard a voice bark out, “Password!” Josh called back, “Monkey!” and the doors swung wide to reveal a burly viking with a small horse at his side. Okay it wasn’t actually a horse, but a very large Great Dane named Thor. We were instructed to make ourselves homely at the bar and so the night began. 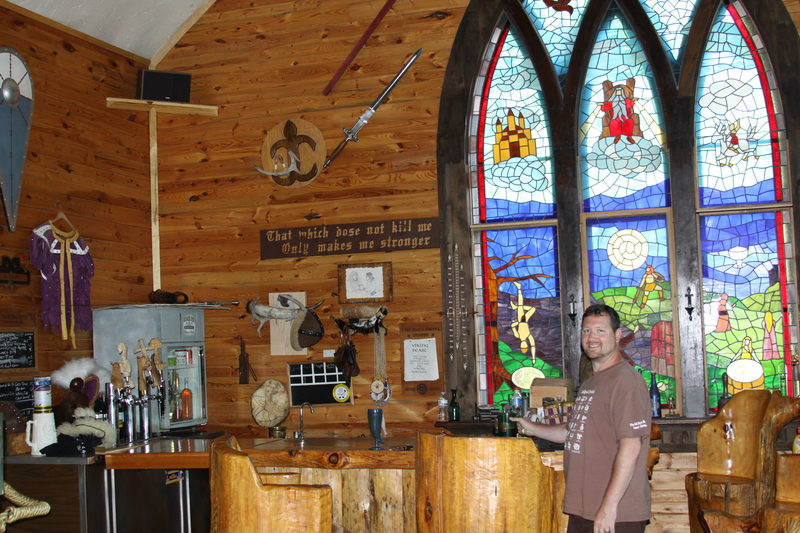 If you’re offended by bawdy humor, this may not be the place for you, but we soon felt right at home drinking amazing mead (Winehaven – a MN winery) and beer, paid for with Kronnar, which you can get by converting your american currency as soon as you sit down. We were the only guests, so there were no games that night, but Steinarr (the owner) was entertainment enough and the conversation went from lewd humor to historical to philosophical. Not only is Steinarr a great conversationalist, but he is an amazing cook and treated us to a meal that included a wonderful soup, Rosemary Chicken, Turnips (the best I’ve ever encountered), Garlic Potatoes, to-die-for Parsley Bread, and for dessert – Peasant’s Pie (an oatmeal pie that tastes exactly like Pecan Pie. One of our favorite parts of the night, was of course the fantastic themed room. 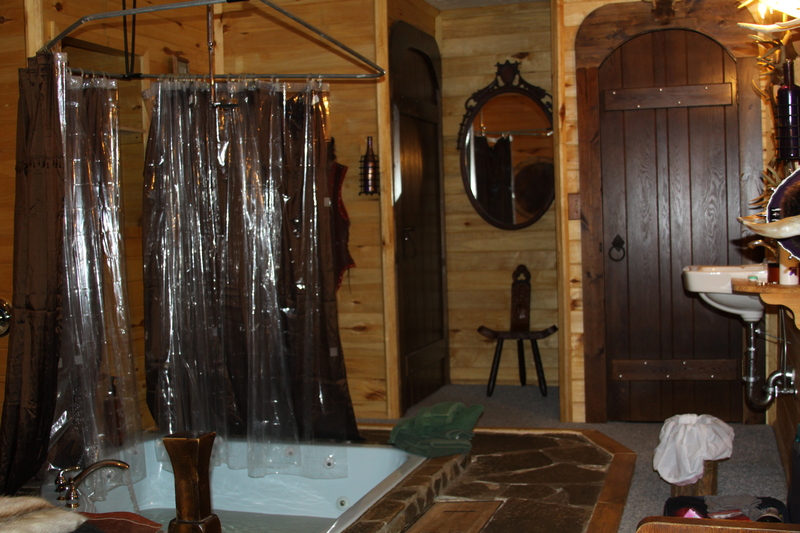 The Jarl’s Den was one of the more masculine rooms with a hunting theme. There were furs of every kind on the walls and bed. 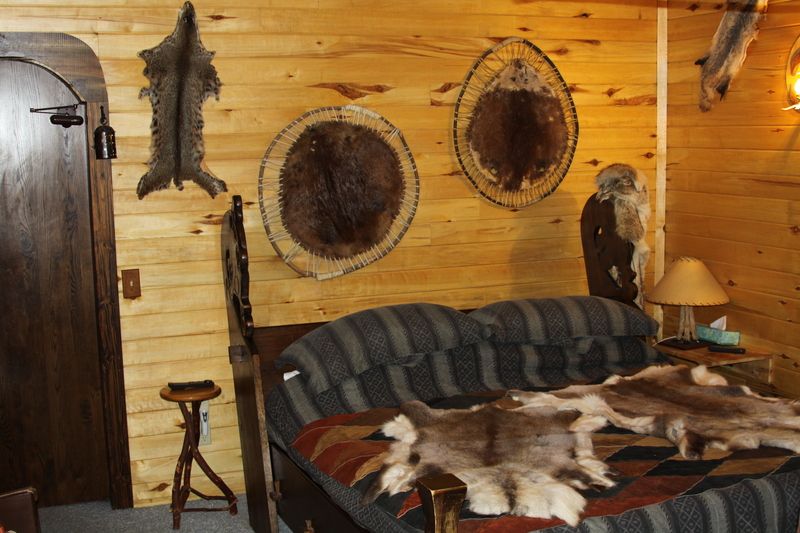 (Apparently a previous guest had gifted the reindeer pelts that now drape themselves over the bed). In the middle of the room was a huge whirlpool tub, which you can be sure we soaked in before cuddling up in that nice big comfy bed. We both slept soundly and it was Josh who heard the 8:30 horn blowing alerting us that breakfast would be ready soon. At 9:00 the horn blew again and before we knew it, a heaping plate was set before us. For breakfast we feasted on meat pies, hashbrowns, more parsley bread, and a scrumptious apple pastry. Stuffed to the brim we headed onward to Paul Bunyan Land! Coming tonight… err or whenever I have time – regaling tales from our mini-moon! I am finally going to sit down with pictures from our mini-moon and reviews from where we went. I’m so excited for our real Honeymoon next year, which is going to be 2 or 3 weeks of the fun we had.